Arguably one of the most exciting rookie quarterbacks in recent history, Robert Griffin III was able to lead the Washington Redskins to their first division title since 1999. 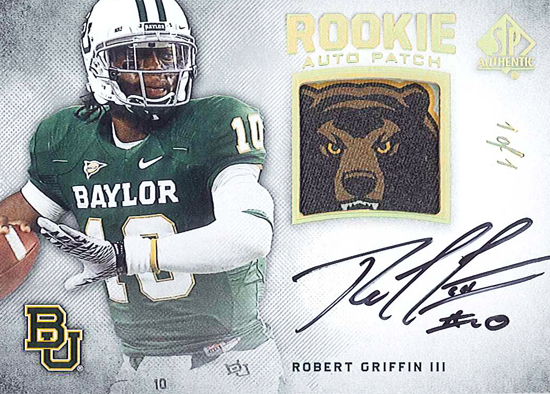 Upper Deck had been working on getting RGIII to sign for the company’s 2012 SP Authentic Football set, but the former Baylor star was focused on doing whatever it takes to help his team advance in the playoffs. Now that his season is over, we were able to catch up with him and get him to sign for the release. 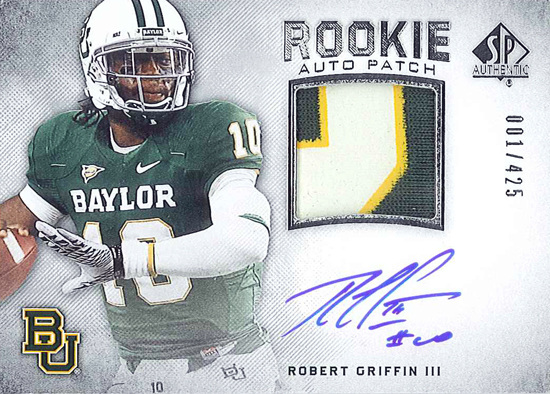 As the product hit shelves this week, collectors will be happy to know they won’t have to wait long for their redemption cards as we received them all in house today! They will be checked for quality, packaged and then shipped in the coming weeks, but as you can see, these hard-signed beauties look REALLY good! We hope they make a great addition to fan’s collections! These cards look AMAZING!! I hope my daughters and I are lucky enough to pull one now! 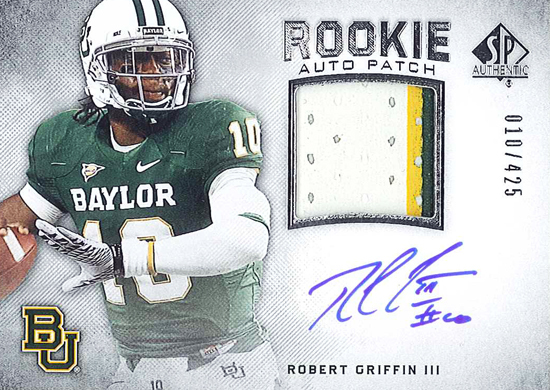 Keep up the great work all u guys at Upper Deck!